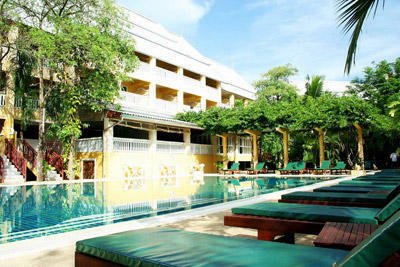 Nomads Success Beach Krabi features comfortable dormitory rooms and free Wi-Fi in public areas. This pet-friendly property boasts an outdoor pool and an on-site restaurant. Sightseeing trips can be arranged at the tour desk. Nomads Success Beach Krabi is less than a 5-minute walk from Nopparat Thara Beach. It is a 5-minute drive from Aonang Beach and a 20-minute drive from Krabi Airport. Phuket International Airport is a 2-hour ride away. Dormitory rooms are provided with air conditioning. Shower facilities are in a shared bathroom. For meals, enjoy Thai and international dishes served at the restaurant. Refreshing beverages are offered at the bar. Don't waste your time, we are waiting for You!